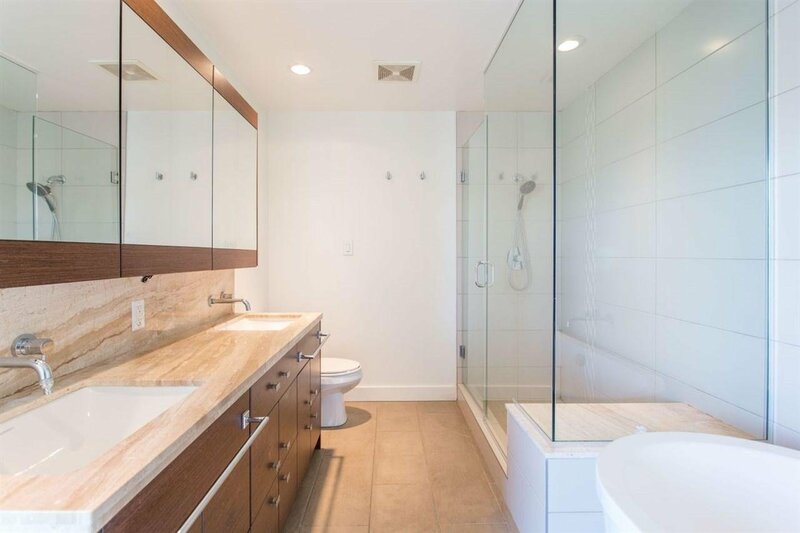 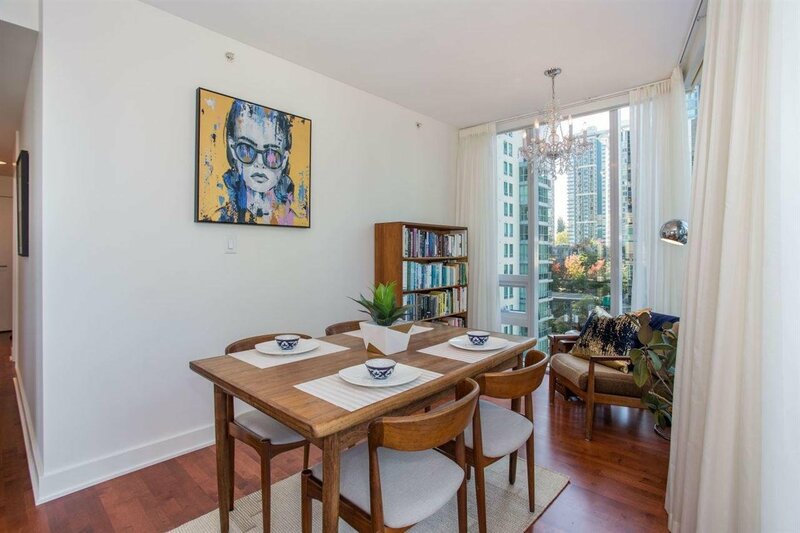 1001 1277 Melville Street, Vancouver - 2 beds, 2 baths - For Sale | Jordan Ross - Oakwyn Realty Ltd.
$95,000 BELOW ASSESSED VALUE. 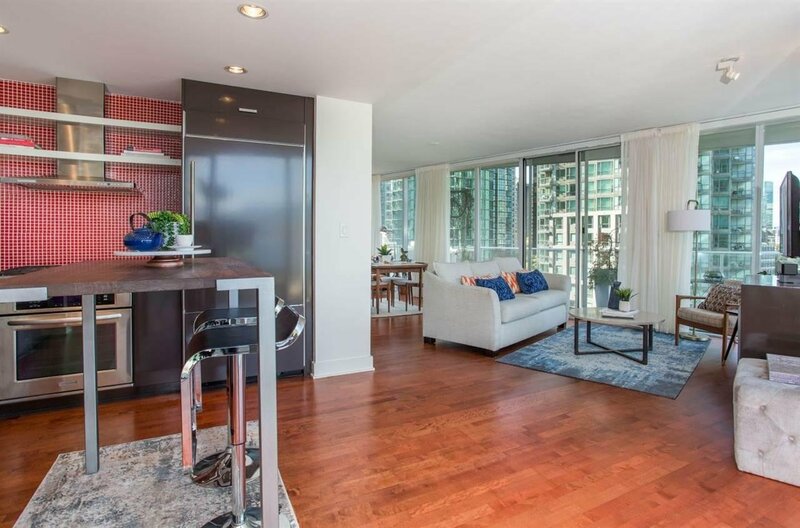 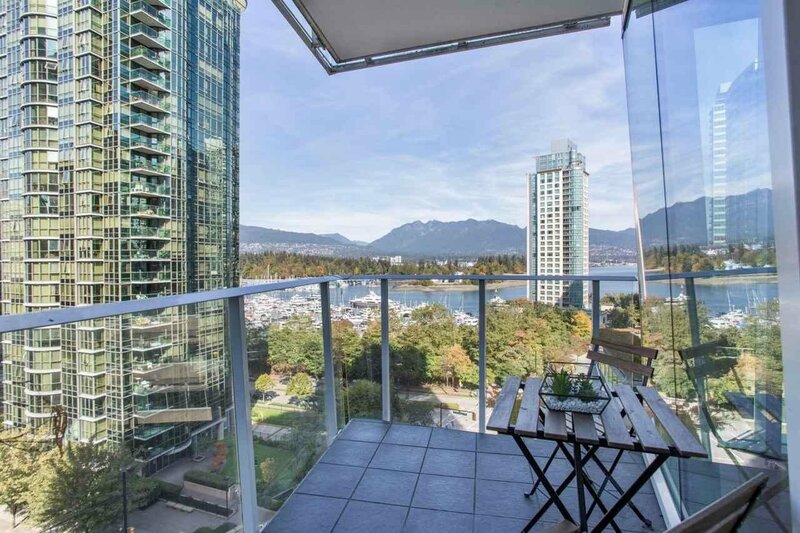 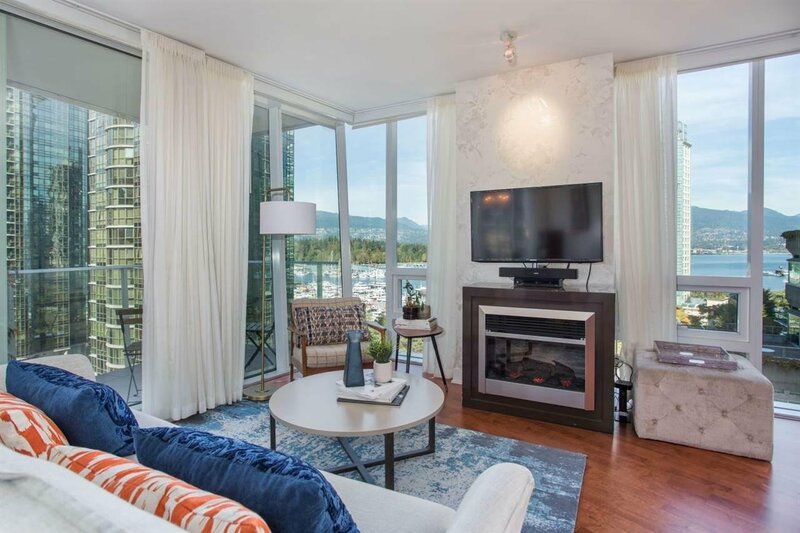 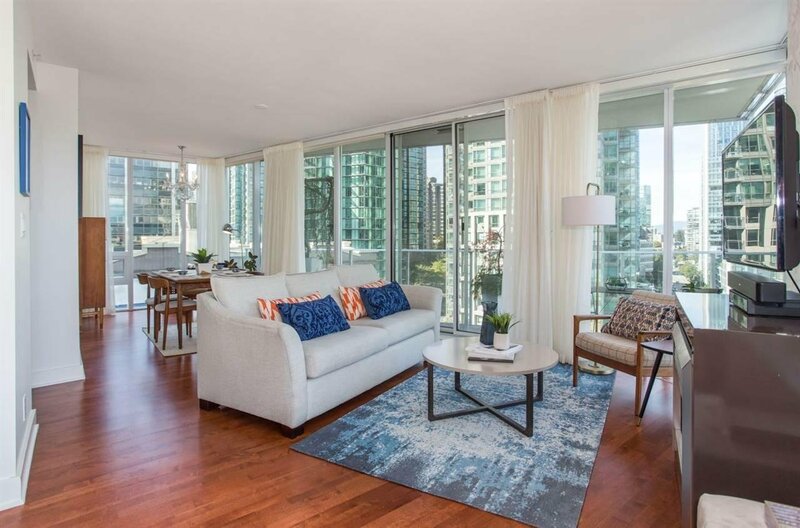 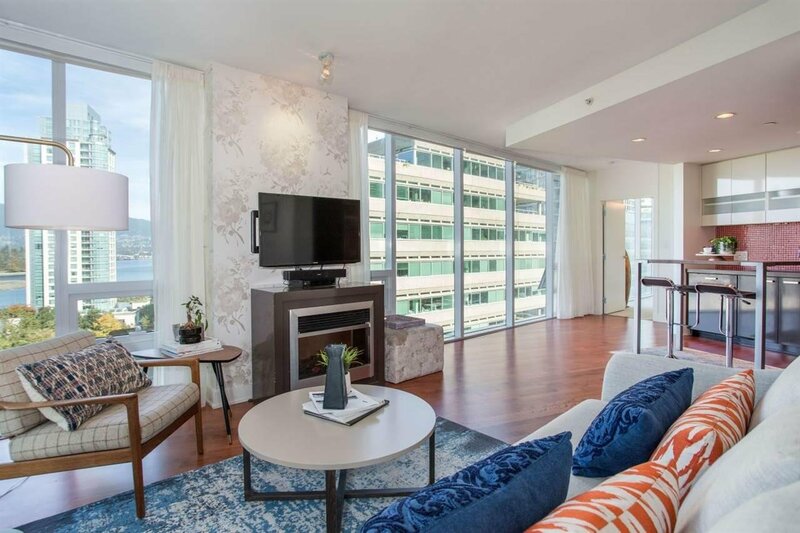 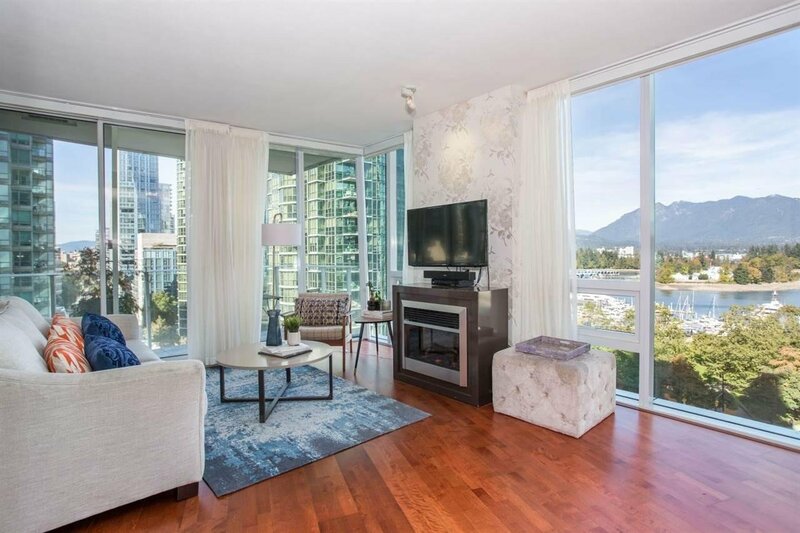 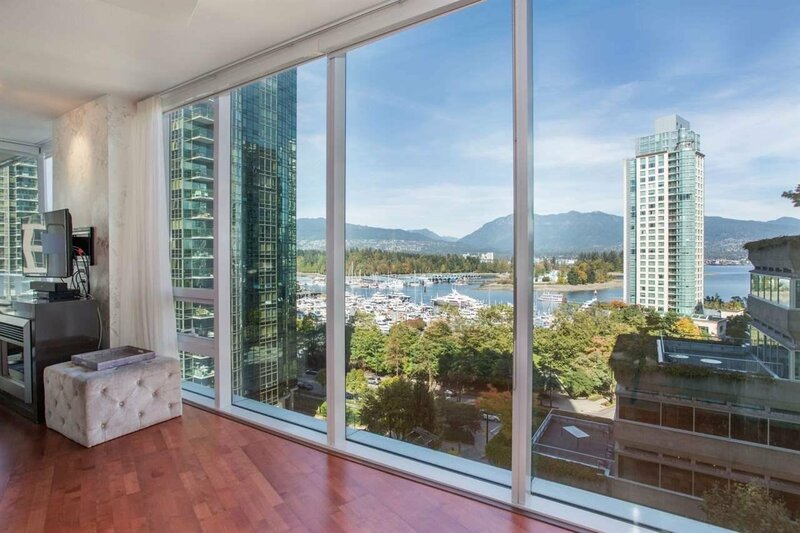 A special offering in the highly sought-after Flatiron building on Melville Street in Coal Harbour. 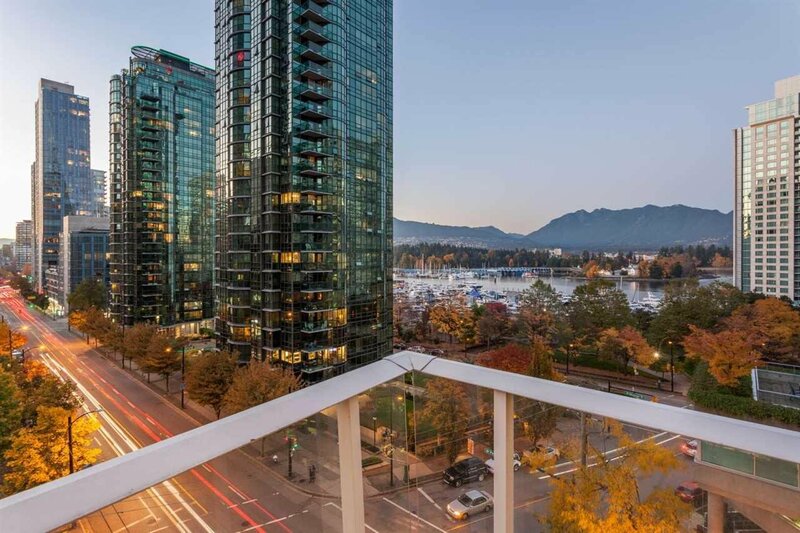 With only 2 UNITS PER FLOOR and NO DIRECT NEIGHBOUR, this is a unique opportunity for the most discerning buyer. 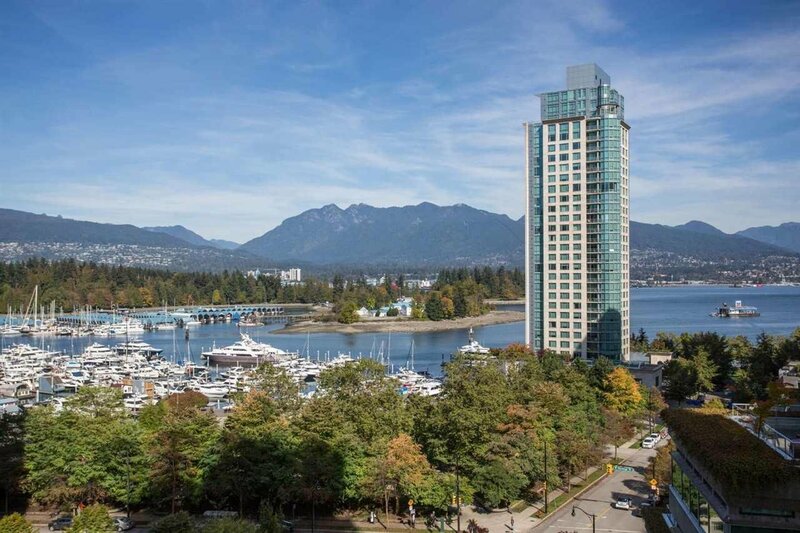 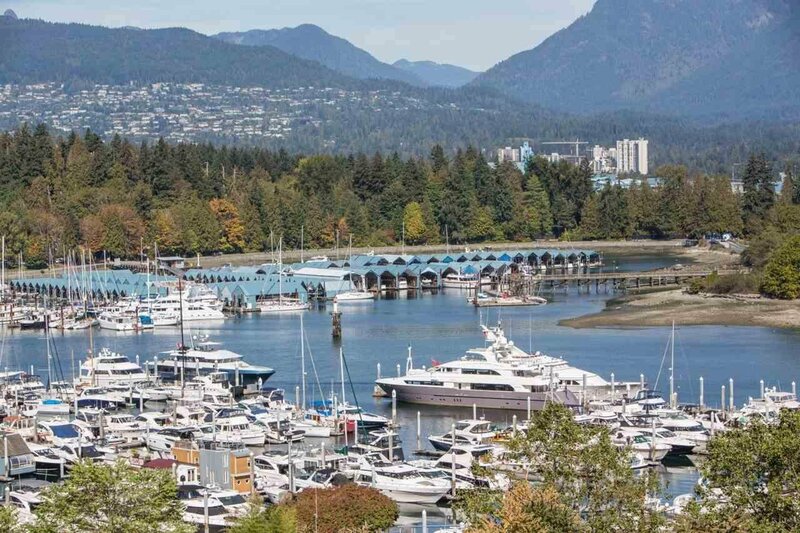 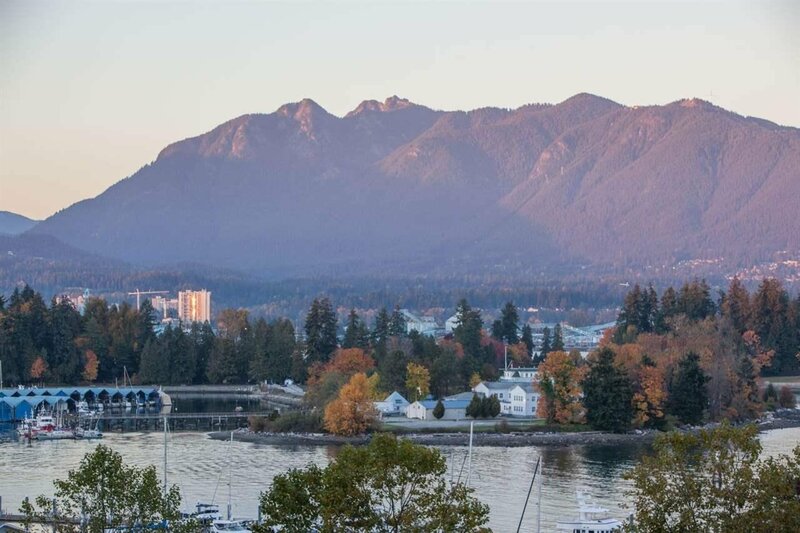 CORNER suite with a private outlook onto unobstructed water, North Shore mountain & Stanley Park views. 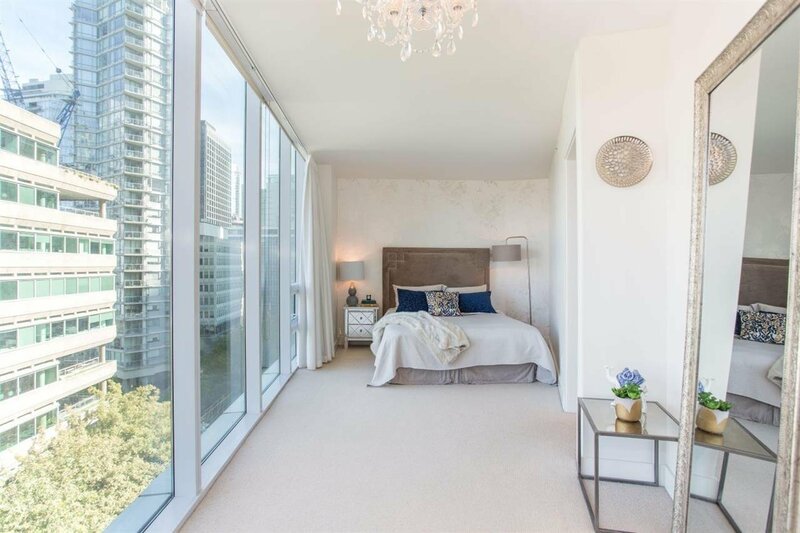 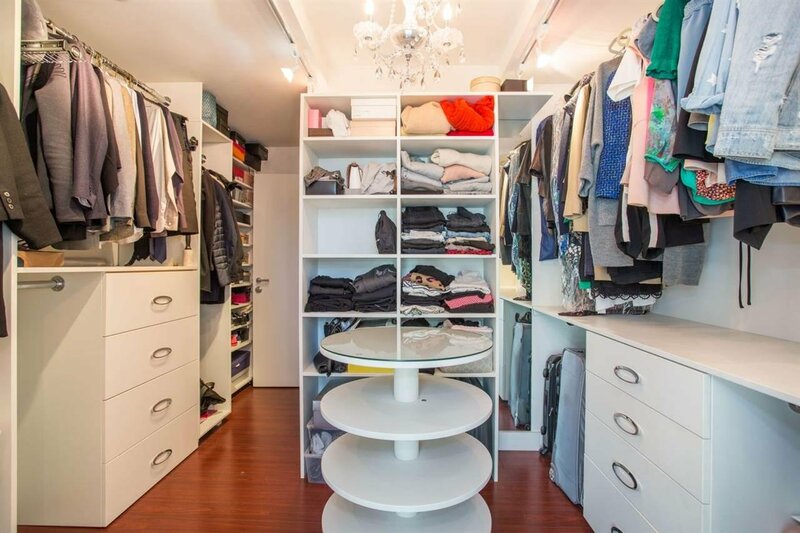 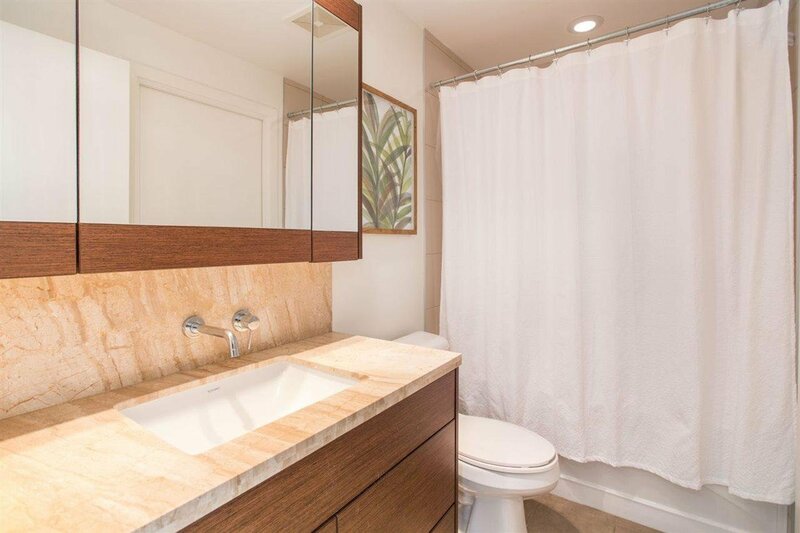 Rarely available, this preferred “01” layout offers 1,353 SF plus 102 SF balcony, 2 bedrooms with a large, custom designed walk-in closet in the elegant master suite. 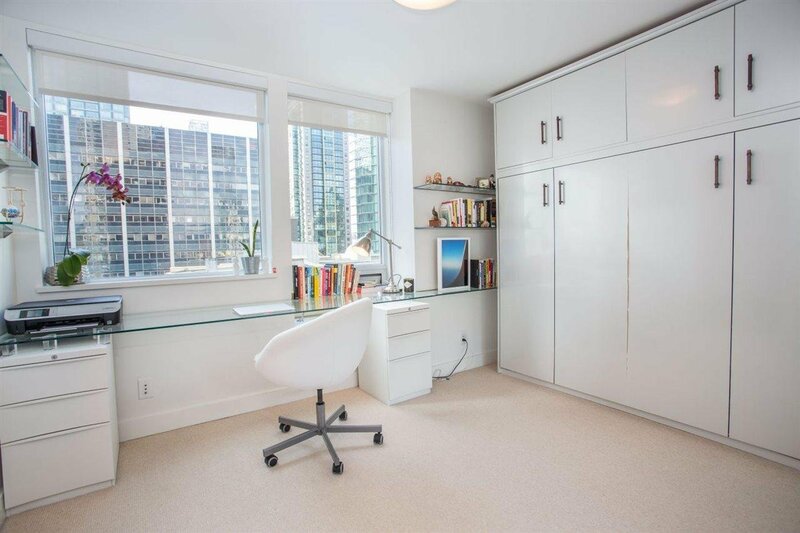 Cheater ensuite off 2nd bedroom with custom built-in murphy bed. 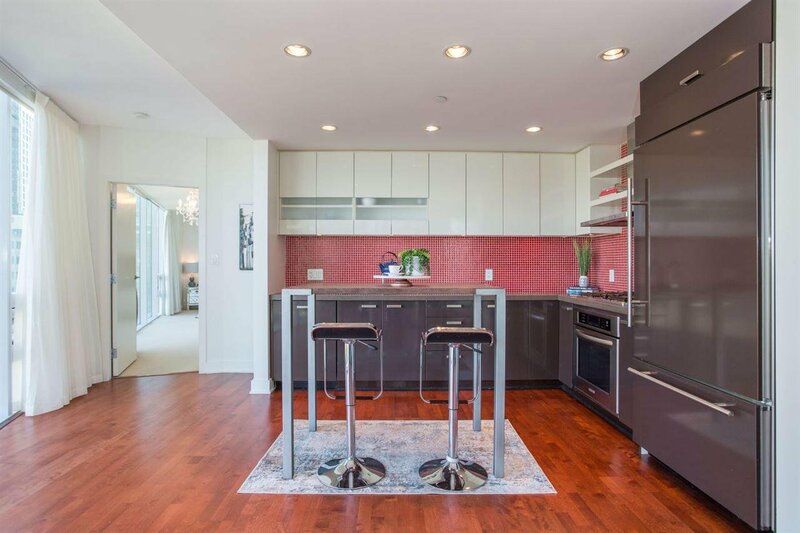 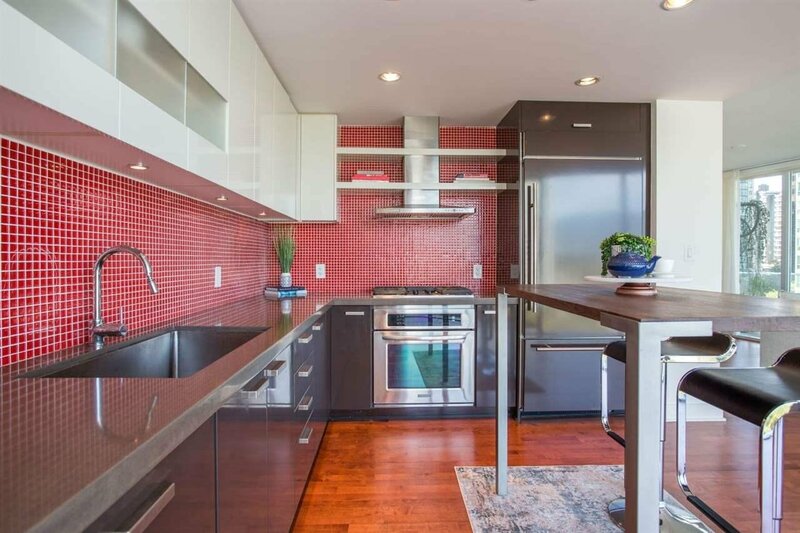 Fully equipped with top end appliances, gas range, geothermal heating + cooling, and wall-to-wall windows. 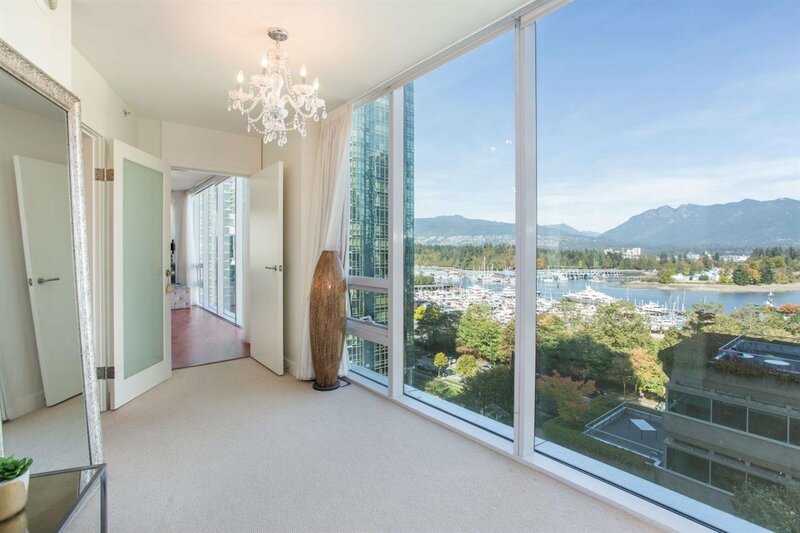 This executive home is guaranteed to impress.